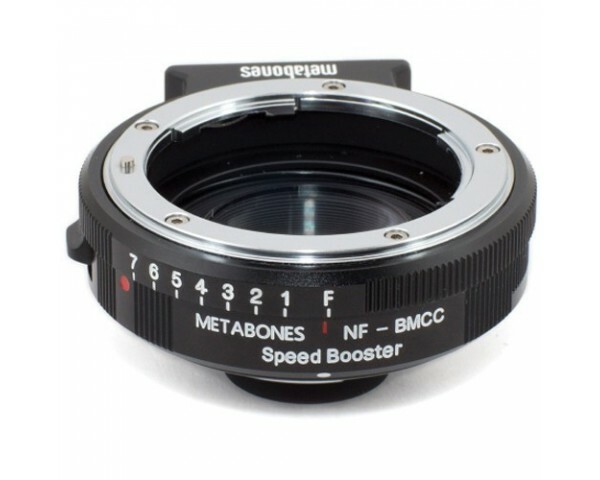 Metabones Nikon G to BMPCC Speed Booster - Adapts Nikon G Lenses per Blackmagic Pocket Camera (MB_SPNFG-BMPCC-BM1) - Nikon-G/F to Micro-4/3 mount Speed BoosterTM adapters designed exclusively for the Blackmagic Pocket Cinema Camera (BMPCC). 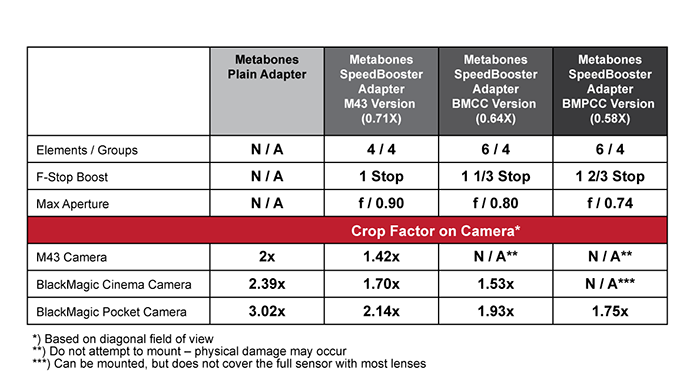 Note that this new 0.58x Speed Boosters will only attach to BMPCC equipped with a Micro-4/3 mount. Industry's best aperture ring covers a 8-stop range, clearly indicating actual number of f-stops. No more guesswork! (Patent pending). 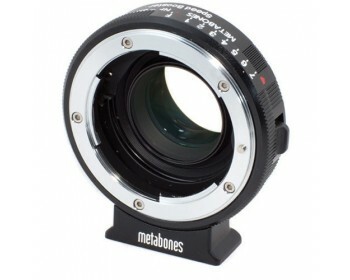 Compatible to both Nikkor G lens & F lens (include non-AI & AI lens mounts). 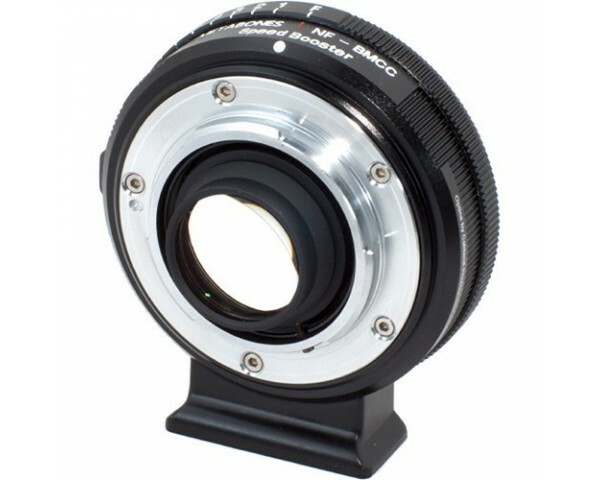 Click-less manual G aperture ring. Optics designed by Caldwell Photographic in the USA (patent pending). The tripod foot is detachable and compatible with Arca Swiss, Markins, Photo cam ball heads. Tips: Before mounting your lens to the adaptor, please make sure that the f-stop of aperture ring on the adaptor is turned to "7" (i.e. mounting your lens to the adaptor while only the aperture ring in the adaptor is full closed.). 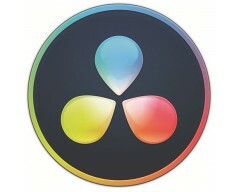 Remark: This mount is manual aperture control. It does NOT support electronic aperture control.